Warriors4Wireless (W4W) is a non-profit formed to bridge the gap between the demand for trained communication industry professionals and qualified service men and women eager to utilize the skills they learned in the military. W4W finds promising candidates, coaches them on career paths and requirements, connects them with approved training providers, and helps place them with our over 150+ partner companies. We provide transitional support giving veterans the building blocks they need for an exciting and fulfilling career in this rapidly growing industry. Find promising and interested veterans. Arrange training with certified providers using veterans’ GI bill benefits. Place qualified veterans into open job positions. Direct placement of promising candidates in open positions without certification under industry apprenticeship programs. 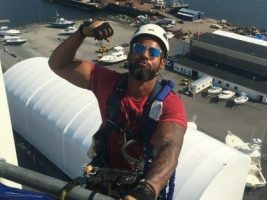 W4W connects veterans with VA approved training partners for certification in tower upgrade and maintenance and fiber optic installation and maintenance work roles. 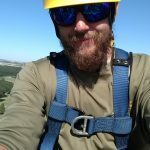 We take the time to get to know you, your interests, and will coach you regarding the potential paths in the Tower, Fiber Optic and Lineman career fields. W4W helps place trained and OJT trainee veterans with our extensive network of Hiring Partners. As of February 2019, W4W has helped place over 1400 veterans in rewarding careers. 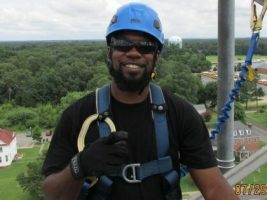 "I attended the May Tower Technician course. 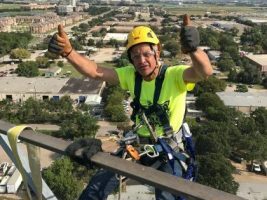 It was excellent training and great classes - covered multiple certifications but most importantly safety, felt like they really care for veterans and go the extra mile to track down job opportunities." I can only say outside of my enlistment oath to the Army this is definitely my second greatest accomplishment. I have learned a lot of things that I can use towards my new career. Meeting the other veterans and learning hands on was great it allowed me to use my military training to finish with confidence. Thanks Tara and everyone else involved in this program for this new experience! "The W4W Tower Technician training program was tremendous. Without a doubt the most comprehensive training I have ever received related to the tower industry."